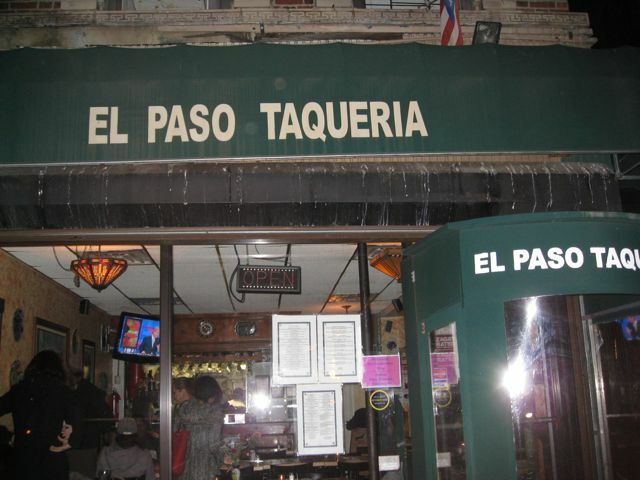 El Paso Taqueria is a great mini-chain of Mexican cafes in East Harlem. We visited the one on 104th street and found a nicely decorated, cozy place that exceeded our expectations. The food is authentic (at least as far as we know), the service is fine and the menu has two pages of deliciousness. 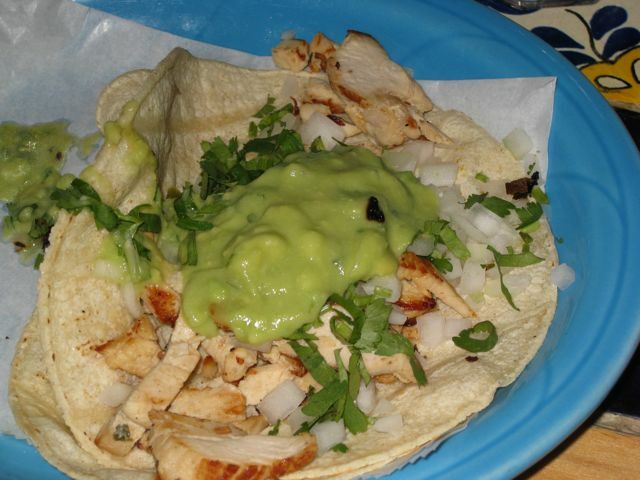 It has the standard tacos and burritos, as well as sandwiches and more sophisticated entrees. 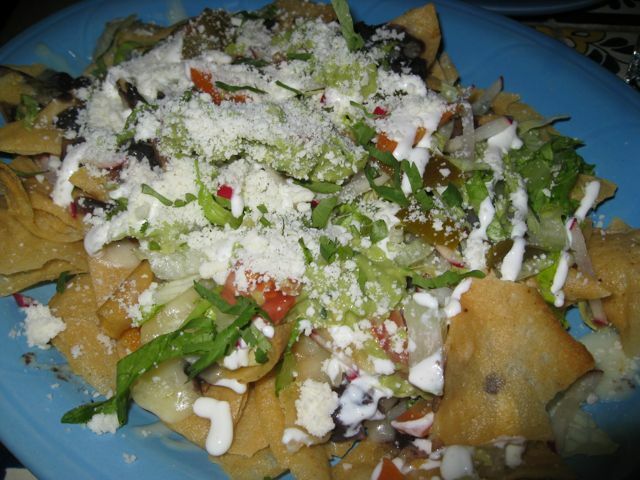 We had the regular nachos which were pretty tasty – although not as good as Noche Mexicano’s – according to El Spud. For entrees I had two soft tacos AND a chicken cemita, which was new to me. 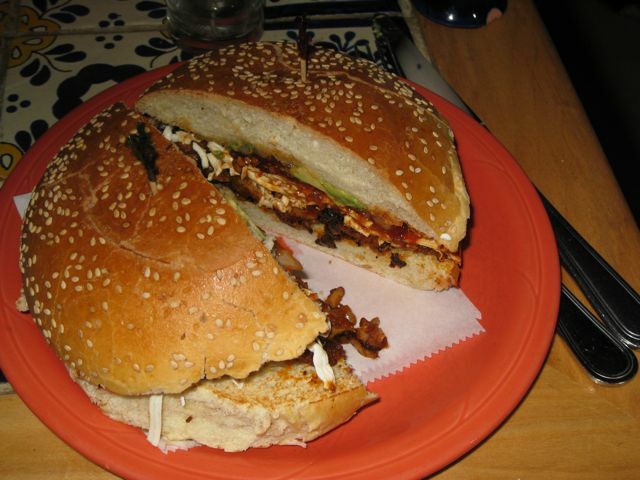 According to their site, it’s a “Puebla style Sesame seed bread, with Oaxaca cheese, avocado, papalo, onions and adobo chipotle chile”. It was a solid sandwich with some really spicy chiles mixed in. The wifester had Carne Al Pastor: marinated pork with onions and pineapple. Everything was very good and very reasonable. It was one step up from the dive-y Mexican places that only speak Spanish or Spanglish. This place really tries to be a full service restaurant and is succeeding quite well. 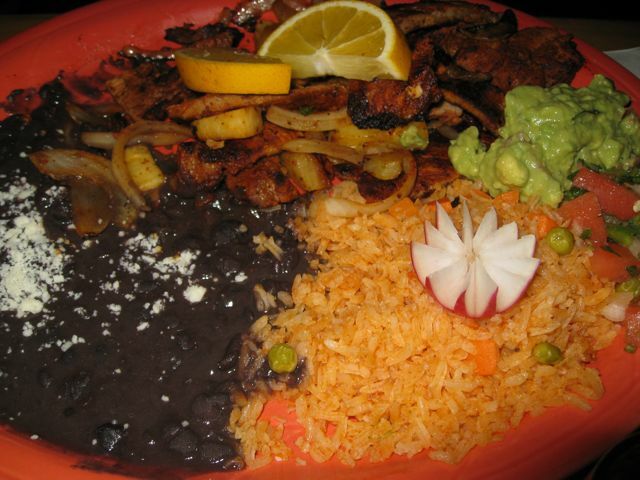 We would love an El Paso Taqueria in our neighborhood. We would be regulars after about a week.